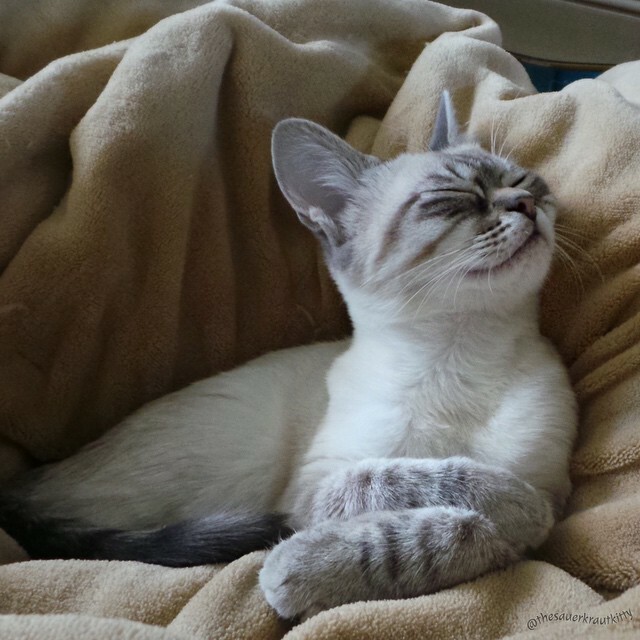 Special needs celebrity kitty Sauerkraut is hitting the road to raise awareness for animal welfare and special needs pets. 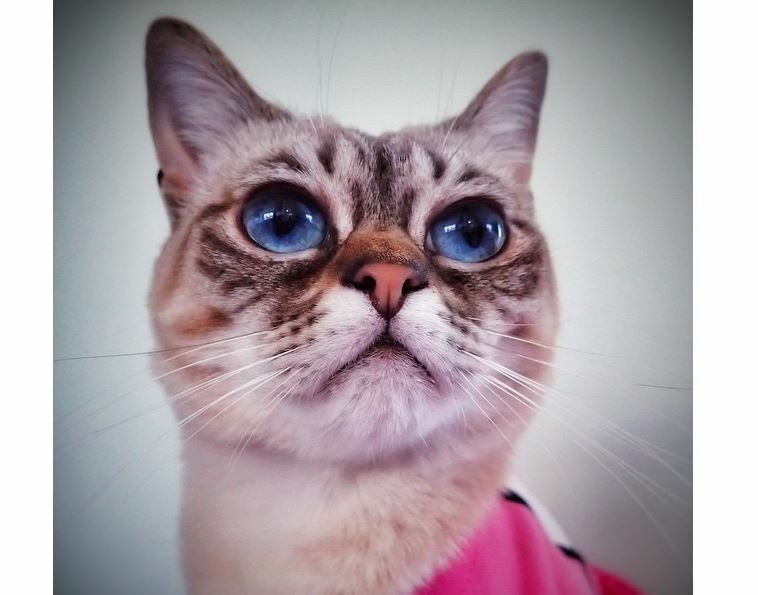 Celebrity cat Sauerkraut, a finalist on Animal Planet’s “America’s Next Cat Star,” who has been featured at BuzzFeed, is touring the Southwest US to raise awareness around issues of animal welfare and special needs pet adoptions. Sauerkraut will leave her home in Oklahoma in June, traveling to visit Roswell, Flagstaff, Los Angeles, Sacramento, Reno, Salt Lake City, and Denver. 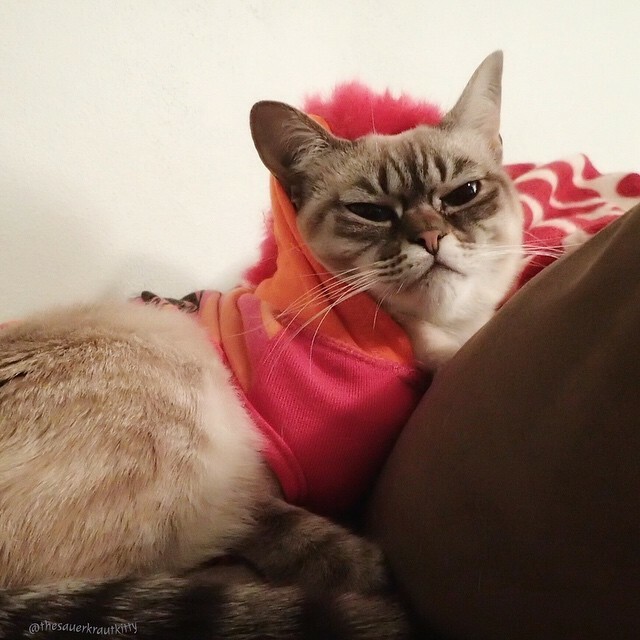 While Sauerkraut is a beautiful cat with a unique scowling expression and is known for her cute outfits, she is a special needs pet who wears clothes to help with the effects of her condition. 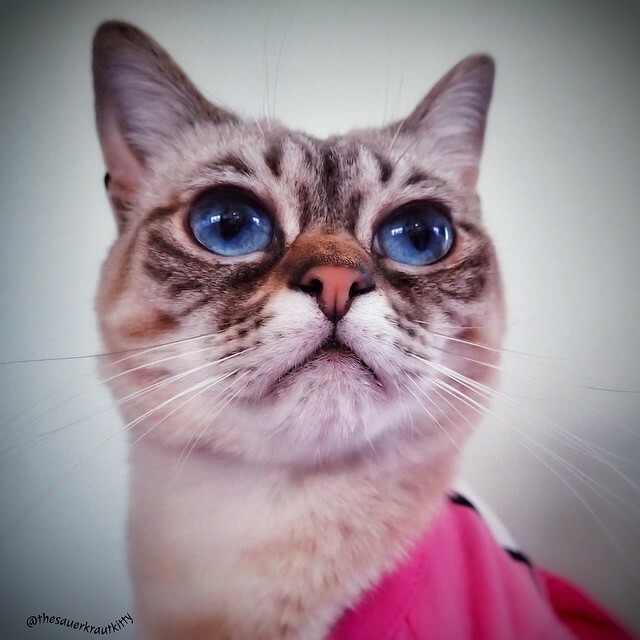 Sauerkraut suffers from Feline Hyperesthesia Syndrome, which causes her to bite and scratch herself to the point of injury. She wears clothes to calm her and to minimize scratching. Sauerkraut’s petparents, Amy and Patrick Bender, fostered her for their local humane society and created an online presence for her in hopes of making her more adoptable. The couple ended up adopting her themselves, though. “I’m glad she has become so popular, because it gives us a platform to educate on animal welfare issues,” Amy told KFOR Channel 4 News. The goal of Sauerkraut’s visits to these cities, which run June 2 through 11, is to work with local shelters and animal welfare groups, raising funds and educating the public. Sauerkraut’s current scheduled stops include: Uncaged Paws at the Roswell Petco (June 2), Coconino Humane Association in Flagstaff (June 4), a meet-and-greet in Los Angeles (date TBD), SPCA of Northern Nevada in Reno (June 9), and other stops along the way. Check Sauerkraut’s website for updates on times and locations. You can follow Sauerkraut at Facebook.